Lovely Cauli was found heartlessly abandoned in a cauliflower field, hence her name. She was standing over the body of a friend who had sadly passed away. Cauli had a severe eye injury and was extremely nervous. 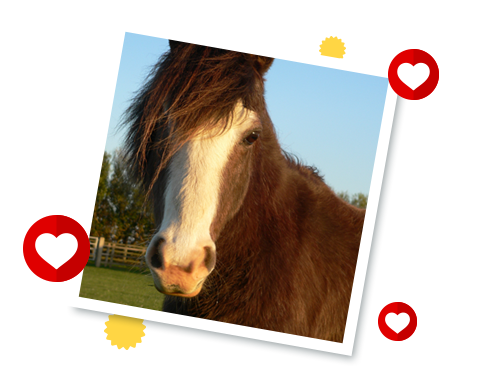 When she was brought to Redwings, she had surgery to remove her poorly eye and with lots of TLC she soon became the lovely, friendly pony she is today! Unfortunately, Cauli begun to experience ongoing lameness and it was decided she should retire from the Adoption Scheme in 2019.